Dead Space 3 is now available for the Xbox 360, PS3 and PC. We recently sat down with composer James Hannigan to discuss the game's soundtrack and mixing in just the right amount of terror. Read on to learn more! AMANDA DYAR: Dead Space 3's soundtrack was the first you've worked on in the highly popular series. How did you become involved in the project and did you originally think the project was a good fit for your talents? JAMES HANNIGAN: I got involved during the middle of last year, but things didn’t get too intense for me until fairly late in the day - partly because some of what I was set to work on didn’t fully come together or finalize until the later stages of development. With a game like this, as in TV or film, music can go through a lot of changes before it finally gets locked down, particularly for scripted sequences or cutscenes. The development team constantly challenge themselves about what they’re trying to achieve on an emotional level, and what kind of experience they’re trying to deliver to the player as he/she progresses through the game, and they also look at that from the perspective of how things fits into the game’s overall trajectory and narrative arc. So nothing that happens in the game ever really feels like an isolated experience. 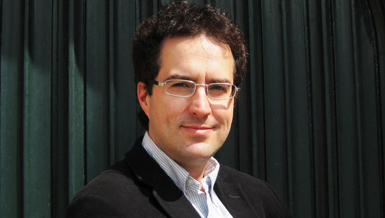 The message sent out and the overall tone to convey matters a lot to them, and responding to that that can be pretty challenging for a composer. Not always challenging in terms of the actual composition (some of my music in Dead Space 3 is actually pretty simple taken at face value) but in terms of working out how the music will hit the right mark, emotionally speaking, and in ensuring that it does so at the right moment! So in that sense, it’s music to be appreciated in context, I think, and is written to be as supportive of the game as possible - often underlying dialogue or particularly dramatic sequences, or conflicts between the game’s various characters. Although this is sometimes difficult to get right, it can also be pretty satisfying, as it means the music ends up truly connected to the game and becomes a meaningful and well-integrated part of the whole design. 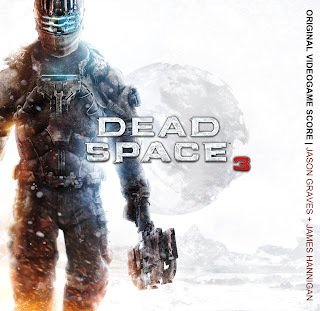 AMANDA: Also on the Dead Space 3 is fellow composer Jason Graves. Were you able to work together with Jason on some of the songs on the soundtrack and what unique sound do each of you offer that Visceral Games was looking for in the Dead Space 3 soundtrack? JAMES: We were mostly working on different areas of the game, although sometimes you’ll encounter areas that make use of tracks from each of us. There’s possibly a bit more emotional range to the story with this installment of the series, but not in a way that detracts from the core, sci-fi horror experience, in my opinion. And that extra range provided some scope for a broader emotional palette to exist for music. So, although some of my music is occasionally used to create an air of mystery or fear, or to underline action, I’d characterize some of it as existing for narrative support, helping to move the story along. The collection of tracks on the album release I believe were chosen to contrast with one another, and also to tell a story, covering key moments and situations encountered in the game. So it’s actually pretty varied, and a balance between atmosphere, exploration, action, cutscene music, boss battles and, of course, moments of abject terror. AMANDA: Your work will also be featured in the upcoming MMO Transformers Universe. Can you tell us a bit about this upcoming game and your work on the project? JAMES: I can’t say too much about the exact nature of the game, but some of the music in it is decidedly moving in a harsher direction than has historically been the case for Transformers, while some exists within a more familiar stylistic framework. Composing for the game is an ongoing process, and new content is getting planned for it all the time. I can say though that we recorded a large orchestra for some of the game’s music recently, and plans are afoot for some more orchestral production. I wish I could say more about it! To learn more visit the official Dead Space 3 website, purchase the Dead Space 3 soundtrack on iTunes, and check out the official Transformers Universe website to register for the BETA.